The practice of how influencers make clear whether their endorsements on social media are paid-for has been subject to much debate. Now, in a move towards greater transparency, 16 celebrities are pre-empting action from Britain’s competition watchdog by formally committing to state clearly if they have been paid or received any gifts or loans of products that they endorse. The Competition and Markets Authority (CMA) has published a guide for influencers – and if they don’t follow the rules, they could be prosecuted or fined. We are family said Sister Sledge and also Facebook, as it revealed plans to create a seamless messaging service for its audience by allowing allow cross-messaging between Facebook Messenger, Instagram, and WhatsApp. According to reports, each service will remain as a standalone app, but the underlying infrastructure is being rebuilt to allow people to communicate with others on apps that they might not personally have. All will support end-to-end encryption. Facebook is killing off Moments, its private photo and video sharing app. Apparently, no-one was using it, myself included. The app will officially close on 25th February, although users will have until May 2019 to export their photos and videos from the Moments website. Facebook is cracking down on those who misuse the platform. A new Page tab called 'Page Quality' provides administrators with insights into rule violations on their Page; managers will be able to see when certain content has been removed, and when the platform reduces the distribution of posts that have been rated false by a third-party fact-checker. Pages which repeatedly violate the platforms Community Standards can be shut down. The Facebook Marketing Partner program aims to better help advertisers evaluate the ROI of their media spend on the platform. It’s now added a new Brand Safety capability to its offering, with DoubleVerify and OpenSlate as the first two companies to earn the certification. The move has been made so that advertisers can work with third parties to help manage their brand safety controls for campaigns on the platform. The brains behind Money Saving Expert, Martin Lewis, has dropped a defamation court case against Facebook in exchange for a rather sizable donation to help tackle scams. Last year, Lewis discovered that over 1,000 scam adverts abusing his name or image had appeared on Facebook and started perusing legal action. He’s now come to an agreement with Facebook; the platform will donate £3 million to Citizens Advice to deliver a new UK Scams Action project, and it has also committed to launching a UK-focused scam ads reporting tool. WhatsApp Business, which now boasts over five million business customers worldwide, has added new features to its desktop and web apps - previously only available to its mobile app users. These updates include tools to organise and filter chats, automated greeting messages, as well as a new Quick Replies functionality which will allow businesses to respond to common questions from customers with pre-written replies. Last week, Twitter unveiled a new look for its web-based app. It includes new features such as quick keyboard shortcuts, an advanced search function, an emoji button, upgraded trends, and improved direct messaging - with additional features said to be coming soon. The update also comes with a more streamlined home page and easier ways to communicate on the site. Currently, the new design has only been rolled out to a number of users with no disclosed timeline for a wider rollout. Twitter has introduced a new 'Original Tweeter' tag to some of its users globally, as it seeks to "help curb (some types of) abuse on the platform". The new tag will show up on a conversation thread, under the handle of the original tweeter, to help highlight relevant replies and distinguish accounts that are masquerading as other tweeters. The update helps to support the platform's beta test for introducing changes like colour-coded replies to make long conversations easier to navigate. There is currently no information on when or if this feature will be made available to all users. Following a successful trial last year, Pinterest has announced that it is rolling out a new feature that allows you to filter results by skin tone to all users across its mobile and web apps. The feature aims to make finding hair and makeup tips easier, regardless of race, and is "a direct result of the platform's Diversity and Inclusion team" working to improve representation across the network. The professional network has finally added interest-based targeting to its Campaign Manager, which will enable users to target members based on the content they share and engage with. The 200-plus interest categories include artificial intelligence, the global economy and customer experience. The features can also be used to target people interested in pursuing certificate programmes by using a combination of targeting by degrees and interests. Almost two years after its initial launch, YouTube TV - YouTube's commercial service that streams more than 60 live TV networks - has announced the addition of 95 more markets to its service in the US. This means it's available to 98% of households across the region. The platform also claims that plans to reach the remaining markets are near to completion. While around 10 percent of the service's users still only have access to three of the four major networks, 176 of the regions have access to all four (ABC, CBS, Fox, and NBC) - which surpasses all the platform's main competitors. Netflix's iOS app now comes with a "Share" button that will allow you to share a show or movie’s artwork to your Instagram Story. When followers view your Story, they will also be given the option to "Watch on Netflix" with a link that takes them directly to the app. Android users will have to wait a while to share their latest binge sessions, but the platform has confirmed that the update is coming. Frank’s RedHot has become the latest brand to avoid spending millions on advertising over Super Bowl weekend, by instead offering "prizes to fans who tweet about other brands’ ads during the Big Game". 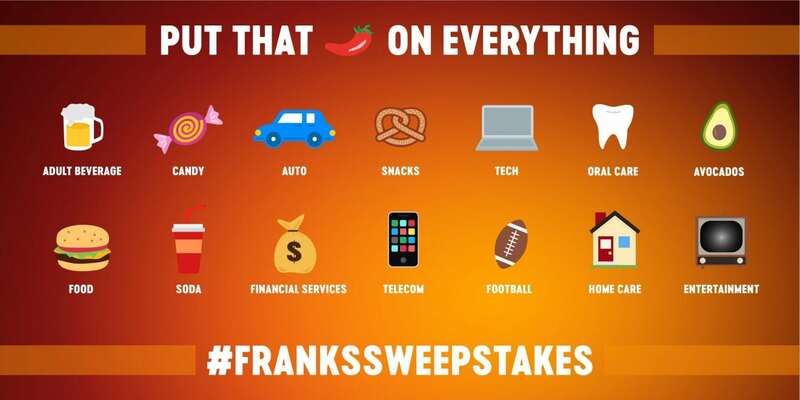 The contest, #FranksSweepstakes, will run on Twitter on Super Bowl Sunday and will ask participants to tweet about ads they see along with a "cayenne pepper emoji (for Frank’s) along with the emoji that corresponds to the category of the ad for a chance to win prizes like vacations, gift cards and cars". A series of ads will be run in the lead up to the big day to demonstrate how people can “put that s#!t on everything" - the brand's signature catchphrase. Birmingham city centre was brought to a gridlocked standstill last weekend, after thousands of teenagers flooded to see a YouTuber James Charles make a 30-second appearance at Morphe Cosmetics. Charles, who has more than 10 million followers across YouTube and Instagram, appeared outside the store for a brief ribbon-cutting ceremony before heading back inside to a private meet-and-greet event. It was later claimed that over 8,000 fans flocked to the Bullring shopping centre. Facebook takes Group Stories global, Tumblr bans adult content - and more. 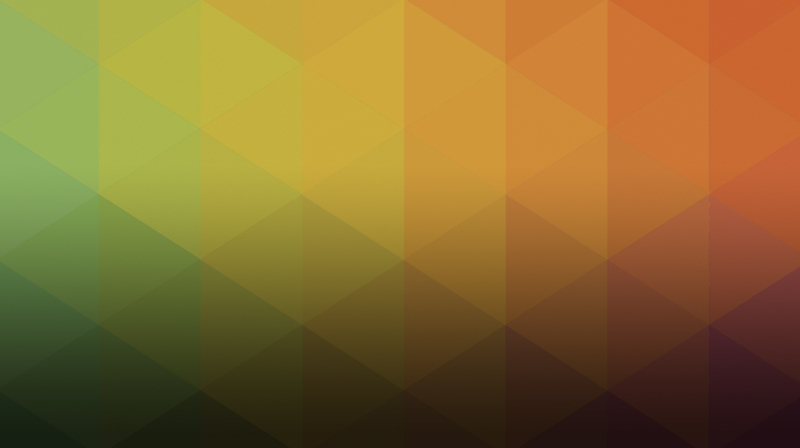 The latest social media news in our Monday Mashup.